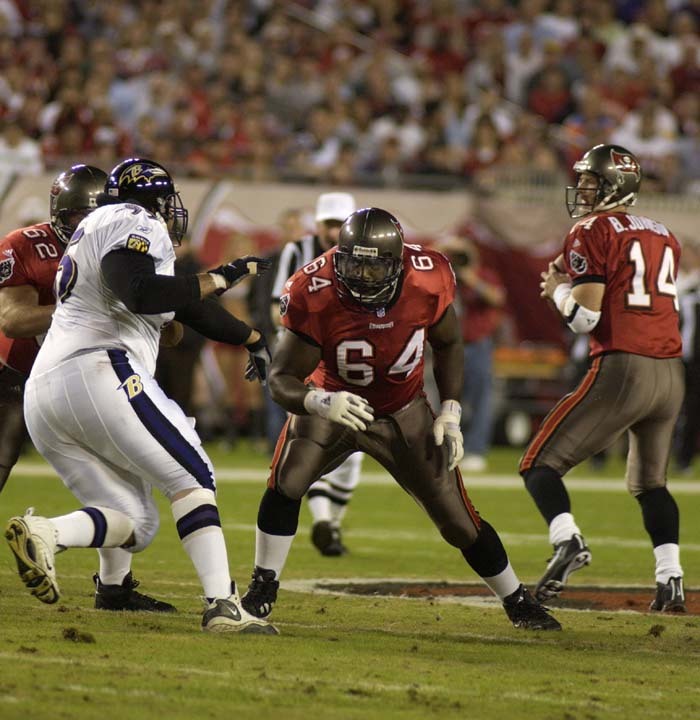 BUCS: Alstott 14-80, Dunn 13-47, B Johnson 3-(-1), Anthony 1-(-3). 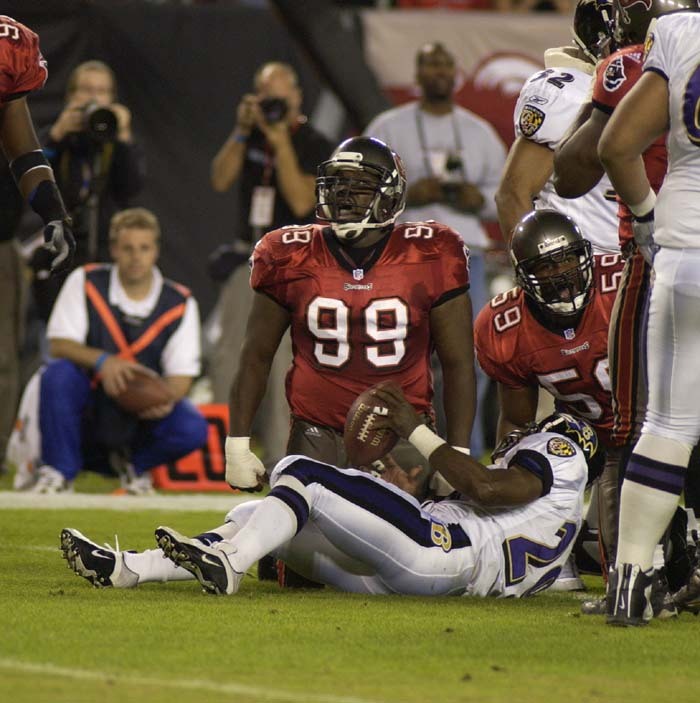 RAVENS: Allen 20-74, Williams 5-15, Grbac 1-1. 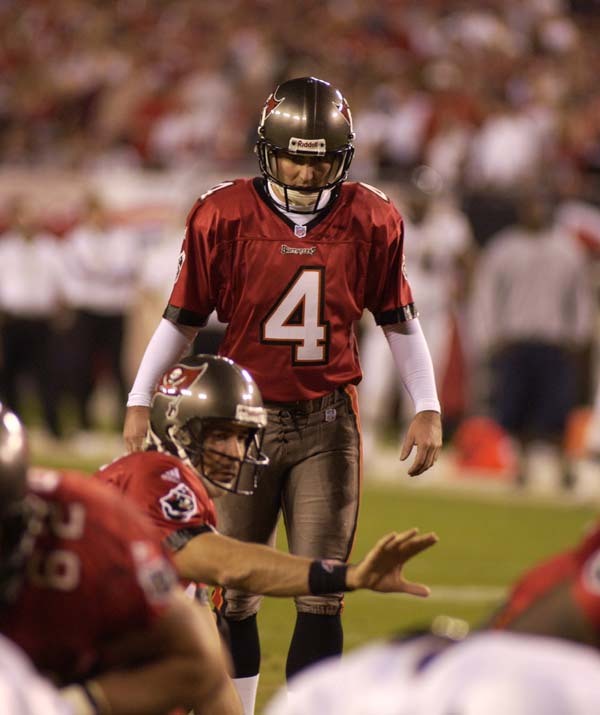 BUCS: K.Johnson 4-29, Moore 3-21, Green 2-18, Dunn 2-14, Alstott 2-8. RAVENS: Sharpe 5-38, Taylor 4-51, Allen 4-21, Ismail 3-38, Heap 2-32, Williams 2-12, Gash 1-13. BUCS: Brooks 1-53, Barber 1-6. BUCS: Stecker 1-35, Abdullah 1-15. RAVENS: J.Lewis 5-130, Bobo 1-11. BUCS: Jackson 2-11, Rice 1-14, White 1-6, Sapp 0.5-3.5, McFarland 0.5-3.5. Just when they needed it most, the Buccaneer defense returned to its best form. 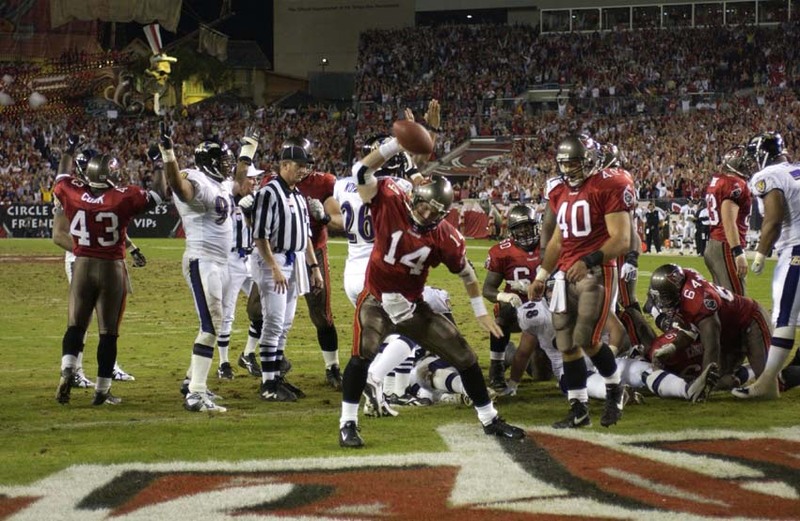 The defending Super Bowl champion Ravens returned to the scene of their triumph over the Giants, but found Tampa Bay far too strong to handle as Tony Dungy's team clinched a playoff berth for the third straight season.